Round shaped, red colored radish for sprouts with bitter taste. It is rich in nutrition and minerals. Using this variety in sprouts adds to the excellent look of the sprouts mix. 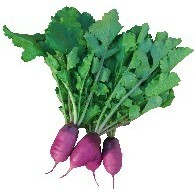 Beautiful red leafy radish. Leaves are green and stems are dark red. Very early harvesting, easy to grow. Great taste and texture for salad and baby leaf. 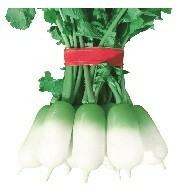 Very uniform leafy radish. Very easy to grow and suitable for sowing from May to September. Very fast growing with extremely upright leaves. 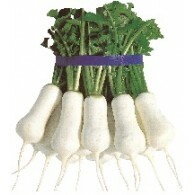 Korean domestic leafy hybrid radish. Very easy to grow. Suitable for autumn growing in open field and winter growing in green house. Thick tender leaves and thin roots for the pickled Kimchi. Good uniformity, with fast growth. Matures in 35~40 days in autumn and 50~55 days from winter sowing. 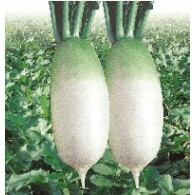 Vigorous and erect Korean leafy radish. Broad, soft leaf and fast growing. Good taste with high yielding and suitable for commercial growing. A Special variety has Red Color inner and outer. Maturity of 40~45 days after sowing. 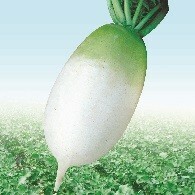 An average root length about 10cm, diameter of 5cm, weight of 0.3kg. Radish hybrid suitable for year-round harvesting. 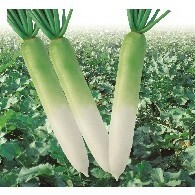 Average root length of 7~10cm, weight of 40~80gram. 20,000 roots/Ha with maturity of 50~60 days after sowing. Good root shape and fast elongation with dark green leaf. Uniform and high quality roots are suitable for commercial cultivation in a main growing area. Crispy and tasty flesh for Korean Kimchi. 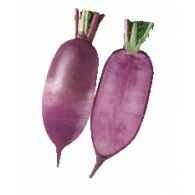 Special variety with purple color both in outer and inner root. An average length of 20cm long, late pithness, deep serrated leaves. Slow bolting type for Spring and Autumn sowing. Attractive root skin and nice root shape. Flesh is very firm and taste is excellent. Strong resistant to virus disease. Can be harvested in 60-65days. Good storage ability. Autumn sowing and harvesting in cool season. 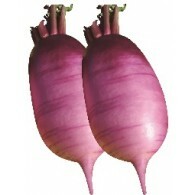 Radish hybrid for summer, autumn and winter. Tolerant to bolting and resistant to Club Root. Has H-shape beautiful root and fast enlargement ability. 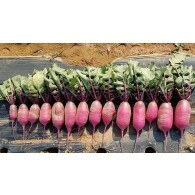 H-shaped radish hybrid with tolerance to bolting and heat. Resistant to bacterial soft rot. Suitable for summer cultivation in high land. Radish hybrid with green shoulder on the half of the upper root part. Suitable for dense planting.